Happy Hour @ Lexington Beerworks on 10/20! Join us in October for our networking happy hour at one of our favorite places – Lexington Beerworks – with some of our favorite people – Toyota Manufacturing’s Young Professionals group. We’ve joined with Toyota for this event to double the social and networking opportunities. Happy hour will be on Thursday, October 20 at 5:30 PM – 7:30 PM at Lexington Beerworks, located at 213 N Limestone, Lexington, Kentucky 40507. Street parking is available – meters are free after 5:00pm! 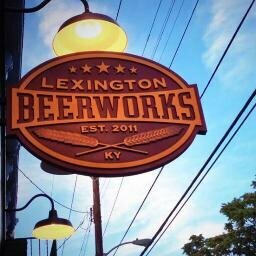 Lexington Beerworks is a craft beer taproom, restaurant + Home Brew Supply shop located in downtown Lexington, KY. 12 on tap, 100+ bottles & full bar w/cocktails & wines.